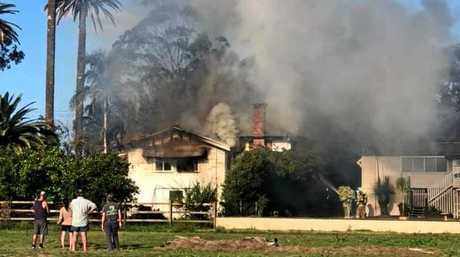 Firefighters extinguish a ferocious blaze which tore through a home in Murwillumbah on Friday afternoon. A CROWDFUNDING campaign has been created to support the family of seven who lost their home and their dog following a ferocious house fire in Murwillumbah on Friday. The Gofundme page has raised $3500 from 50 different people in just three days with a $10,000 goal. 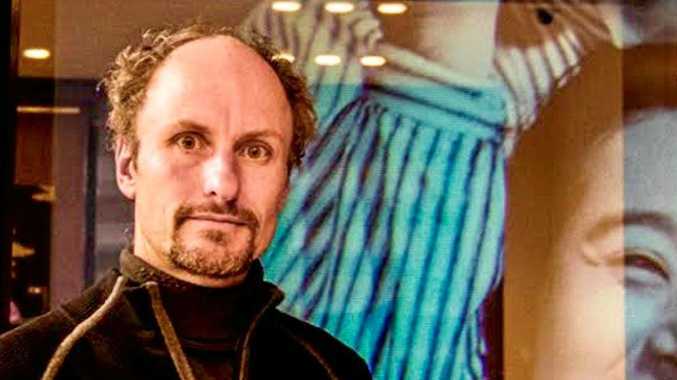 A family friend said in a statement that the family wanted to stay out of the limelight but was "overwhelmed with the generosity of so many people". "The family of seven involved in the house fire in Murwillumbah on Friday afternoon are grateful that they are all okay," they said. "Of course they are quite upset about losing their dog, who had only just been desexed. It is all quite overwhelming. They are feeling very blessed with all the love and support from this wonderful town, people have donated money, gift cards, clothes, school uniforms and meals." About 3.20pm on Friday, emergency services were called to the house fire, which forced a nearby childcare centre to evacuate. Murwillumbah Early Education Centre manager Renae Van Eck said about 35 children, aged up to five years, were at the centre when the blaze broke out. "While there is a vacant lot between ourselves and the house, we were safe at all times but to ensure the safety of our children and staff we evacuated the building," Ms Van Eck said. "We called our parents and they came quickly and collected their children. "It was scary but we rehearse our fire drills regularly, so the staff and children went into action like a drill and were amazing. I am really proud of everyone for how they acted safely and quickly to leave the building." Ms Van Eck said while her centre was undamaged and no-one hurt, her heart went out to the family of the house that burned down. "I'm just devastated for the family," she said. "We are a really close community and our children share the same school bus. "They are a young family and I just can't fathom how it must be for them." 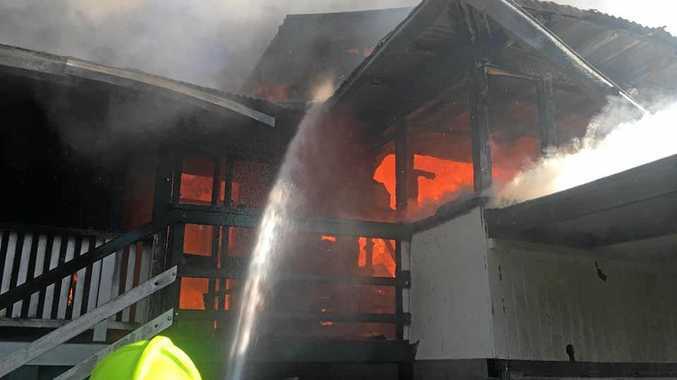 NSW Fire and Rescue Murwillumbah station commander Greg Hayes said crews arrived to find the house engulfed in flames with live ammunition in the house causing further explosions. About 25 firefighters battled the blaze, while a NSW Ambulance spokesman said crews were on standby at the scene but no-one had suffered injuries. The family's dog was tragically lost in the fire.